Have you been looking at the metal roofing options for your next project? Are you struggling to find exactly what you are looking for? No problem! That doesn’t mean that we don’t have it. It just means that you have a specific need that requires a custom order. If you can think of it, we can make it. What do you have in mind? An accent interior or exterior wall? Custom size accessories? Whatever it is that you need for your home or business, we will work with you to make it happen with a custom order. At Metal Master Shop, we specialize in custom orders. Whether you are looking for a nearly impossible to find replacement part, or you are ready to get an entire customized metal roof made, we have the skills and experience needed to get you exactly what you want. Custom Metal Roofing: Call Us Now for a Free Quote! Metal roofing has many functional advantages. To start, it is durable. A metal roof is the strongest roof you will ever have, and it may be the last roof you ever need. The fact is that metal roofing can last much longer than other roofs. This can save you a lot of money in the long run. In addition, metal roofing is also energy efficient, thereby helping the environment along with your bank account. It is also a low-maintenance roof; once your metal roof is installed, it requires very little upkeep. Metal roofing technology has improved dramatically in recent years. Beyond the functional benefits, metal roofing now also offers some stylistic advantages. A modern metal roof can look sleek and sophisticated. Many architects and builders are now moving towards metal roofing to take advantage of all the benefits that it offers. Of course, with some projects, fully customized metal roofing can look a lot better (and work a lot better) than a standardized roof. If you are in the process of designing, building, or installing a fully customized metal roof in South Florida, Mexico, or the Caribbean, our team of dedicated professionals is here to help. We have extensive experience with complex customized metal roofing products and metal roofing accessories to fit the most unique and innovative custom roof styles. If you are looking for custom panels or custom wall panels, you have come to the right place. 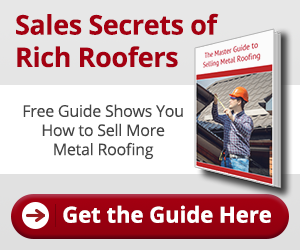 One of the hottest trends in metal roofing is using it indoors. How is this possible? On your walls! Custom panels and custom wall panels have become an increasingly popular design feature in Miami, Florida. With panels and wall panels, there are huge advantages to getting customized work done. The standard products and design will not always be the very best fit for your individual needs. If you are interested in learning more about how you can use custom panels and custom wall panels, please do not hesitate to give our metal roofing professionals a call. We would be more than happy to offer you help and a risk-free quote for your project. Full range of metal roofing accessories. If you are looking for something different, whether it is a unique size, a specialized cut, or an innovative design, please contact our customer service team immediately. We can use the very best metal roofing materials to make fully customized products and accessories in our shop. Attention to detail that truly sets us apart from the competition. Even better, we deliver our customized products at competitive rates. We believe that you should have access to the very best metal roofing materials. We also believe that customer service matters. If you have any questions, concerns, or issues with your metal roofing project, our team of professionals is always standing by, ready to assist you. Please feel free to view our gallery of metal roofing projects. Remember, if you do not see what you are looking for, give us a call! We will customize anything. No matter your specific needs, Metal Master Shop can help. Are You Ready to Get Started With Your Custom Metal Roofing Order? How Does a Customized Order Work? STEP 1 — Call Our Customer Service Team at (305) 261-9290: If you are interested in a custom metal roofing order, you will want to speak to a member of our customer service team. We will work closely with you in order to make custom roofing products that are consistent with your exact specifications. At Metal Master Shop, our team is committed to providing the highest quality customer service. STEP 2 — Our Metal Roofing Professionals Will Provide a Free Quote: When we have all of your information and have a comprehensive understanding of your project, we will put together a free quote for you. There are no surprises with Metal Master Shop. Not sure how much your customer roofing project will cost? Not a problem. Contact our team and get yourself a free, no-risk quote. We will get you a reliable answer. STEP 3 — Confirm Your Custom Metal Roofing Order With Payment: When you are ready to complete your custom metal roofing order, all you need to do is confirm with payment. As soon as payment is received, all of metal roofing supplies and metal roofing accessories will be shipped. Everything is professionally packaged and guaranteed to arrive in pristine condition. If you have any issues at all, we will fix them.